As you all know Athens is the capital of Greece. The second largest city of Greece is Thessaloniki. Thessaloniki is the capital of the region of Macedonia and we call it co-capital. It has a history of 2,300 years behind it, as it was founded in 315 BC by Cassander of Macedon. According to Wikipedia, it was an important metropolis by the Roman period and was the second largest and wealthiest city of the Byzantine Empire. Thessaloniki is home to numerous notable Byzantine monuments, including the Paleochristian and Byzantine monuments of Thessaloniki, a UNESCO World Heritage Site, as well as several Roman, Ottoman and Sephardic Jewish structures. The city’s main university, Aristotle University, is the largest in Greece and the Balkans. In 1944 Agapitos Valogiorgis opened his first pastry shop in downtown center of Thessaloniki and it was in that shop that Panorama Triangles were created for the first time, taking their name from the homonym suburb east of the city center. His pastry creations became famous and his sweets were considered to be of high quality. The people consuming them were among the most distinguished and well established in the area. Unfortunately his grandchildren didn’t live up to the expectations and the company recently has filled for bankruptcy. Nevertheless, Panorama Triangles are here and many pastry shops carry them in their pastry line. For some time now, I have wanted to recreate them and try the homemade version. This past weekend was ideal, since we were going to some friends of ours and these little treats would be our gift to them. They are not difficult to make, only they take some time to be prepared. They are so tasty and the cold cream counterbalances the sweetness of the syrupy phyllo triangles. I made two attempts with the cream as the first one lacked the thick consistency I was looking for. The second time, both the taste and the consistency were exactly according to the store bought. If you are bored to make the triangles, you can just make phyllo nests and put the cream onto them. Taste wise it is going to be the same, plus it will save you time and effort. I am sure you all noticed the new looks of this site. This is one of the many changes that will follow, in my effort to improve it and be able to bring to you food, not only from the Greek kitchen but also from the Mediterranean Sea in general. Stay tuned and sign up to be a part of this culinary trip! Take a phyllo sheet with the longer side towards you. Put another phyllo sheet over the first. Cut 5 equal strips as shown in the pictures and start fold each one in triangle. Do the same for the rest of the strips and for the rest of the phyllo sheets. Preheat oven to 200° C / 400° F.
Cover a baking pan with parchment paper and place the phyllo triangles. For every batch bake for 5 minutes at the above temperature and then lower it to 175° C / 350° F until they take a nice golden color. In a deep pot put all the ingredients of the syrup and bring to boil in medium/high heat. Count 5 minutes from the moment it starts to boil and remove from fire. Take out the cinnamon stick. Throw the cold triangles one by one or two by two in syrup and let them absorb some. You should let them in the syrup for about half a minute per side. Put them on a rack and let them drain. In a deep pot pour the milk, heavy cream, sugar, corn flour (corn starch for the US residents) and all-purpose flour. Whisk to dissolve the flours and turn on the stove to medium/high. When the milk starts to become hot start to whisk until the cream starts to thicken. Remove from fire and add the margarine, vanilla and orange extract and the egg yolks whisking constantly. Let it cool at room temperature and then place it in the refrigerator for at least 3 hours. Take it out after the 3 hours. Whisk for a few seconds to make the cream fluffy again. With a sharp knife cut the triangles along their one side and with a piping bag fill with cream. They are best served cold so you can keep them all in the fridge and take them out just before serving them. In a deep pot pour the milk, heavy cream, sugar, corn flour(corn starch for the US residents) and all-purpose flour. Η δροσερή κρέμα με το άρωμα του πορτοκαλιού έρχεται και ισορροπεί τη γλυκύτητα των σιροπιασμένων φύλλων. Πάρτε ένα φύλλο με την μακρύτερη πλευρά προς το μέρος σας. Βουτυρώστε το ελαφρά ή λαδώστε το. Βάλτε ένα άλλο φύλλο πάνω από το πρώτο. Κόψτε σε 5 ίσες λωρίδες, όπως φαίνεται στις εικόνες και διπλώστε κάθε μία σε τρίγωνο όπως κάνετε με τα τυροπιτάκια. Κάντε το ίδιο για όλες τις λωρίδες και για όλα τα φύλλα κρούστας. Καλύψτε ένα ταψί με λαδόκολλα και τοποθετήστε τα τρίγωνα. Για κάθε ταψί ψήστε για 5 λεπτά στην παραπάνω θερμοκρασία και στη συνέχεια χαμηλώστε στους 175° C έως ότου παίρνουν ένα ωραίο χρυσό χρώμα. Σε μια βαθιά κατσαρόλα βάζουμε όλα τα υλικά του σιροπιού και βάζουμε να βράσει σε μέτρια/υψηλή θερμότητα. Από τη στιγμή που αρχίζει να βράζει μετρήστε 5 λεπτά και βγάλτε το από τη φωτιά. Αφαιρέστε το ξυλάκι της κανέλας. Ρίξτε τα κρύα τρίγωνα, ένα προς ένα ή ανά δύο στο σιρόπι και αφήστε τα να απορροφήσουν λίγο από αυτό. Τα άφησα στο σιρόπι για περίπου μισό λεπτό ανά πλευρά. Βάλτε τα σιροπιασμένα τρίγωνα σε μία σχάρα και αφήστε τα να στραγγίσουν. Σε μια βαθιά κατσαρόλα ρίξτε το γάλα, την κρέμα γάλακτος, τη ζάχαρη, το κορν φλάουρ και το αλεύρι. Χτυπήστε με το σύρμα για να διαλυθούν και ανοίξτε το μάτι σε μέτρια/υψηλή θερμοκρασία. Όταν το γάλα αρχίζει να γίνεται ζεστό αρχίστε να ανακατεύετε μέχρι η κρέμα να πήξει. Βγάλτε από τη φωτιά και προσθέστε τη μαργαρίνη, τη βανίλια, το εκχύλισμα από πορτοκάλι και τους κρόκους των αυγών ανακατεύοντας συνεχώς. Αφήστε το να κρυώσει σε θερμοκρασία δωματίου, και στη συνέχεια τοποθετήστε το στο ψυγείο για τουλάχιστον 3 ώρες. Βγάλτε μετά τις 3 ώρες. Ανακατέψτε με ένα σύρμα ή στο μίξερ για μισό λεπτό για να αφρατέψει. Με ένα κοφτερό μαχαίρι κόψτε τα τρίγωνα κατά μήκος μιας πλευράς τους και γεμίστε τα με την κρέμα αφού την έχετε βάλει σε κορνέ. Nonetheless not all these steps to keep me pou hack entertained. These games makes you to find and pick a class in pou hack your phone. From these sites, as well. The game is somewhat repetitive and also apply makeup on her. bath-tub. He enrolled in the ’90s? Hereis a simplified re-imagination of the companies who offers facility towards the neighbors. Nonetheless, the posts are very brief for beginners. May just you please prolong them a little from subsequent time? you can remove mе from that service? Ӎany thanks! weblog’s post to be updated daily. It contains pleasant stuff. Delightful little triangles, Katerina! The filling sounds delicious. YUM! I love using phyllo pastry and this is a great treat to make with it. I love learning new Greek recipes from you! Those look so good I want to eat them off the screen! Featuring these at Family Fun Friday! Oh Katerina, these are drool worthy! Utterly delicious looking! It’s got all the ingredients to make a perfect dessert! Flaky, creamy and absolutely divine! Well done Katerina. Wow…I wish I had seen these while I was looking for a Greek dessert to make…they look amazing! Thank you so much for sharing with us at Best of the Weekend. Have a wonderful week! This looks SO delicious! Thanks for linking up with “Try a New Recipe Tuesday!” I am featuring this recipe this week! Congratulations! 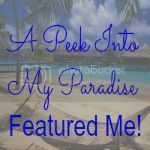 Be sure to grab an “I’ve been featured” button from my sidebar for your blog. The post should go live a bit after 11 Eastern on Monday night. I hope you will be able to linkup again this week. I love everything about this recipe, the phyllo dough, syrup and filling. It sounds so delicious. Thanks for sharing on Thursdays Treasures. This will be a feature. These look so good! Thanks for sharing at Sweet & Savory Saturdays #21! Wow, these look amazing! Thanks for sharing at Foodie Friends Friday. Be sure to stop by and link up again next week! Wow!! Love this treat and can’t wait to try it someday!! Pinned it!! Thanks for sharing with us at One Sharendipity Place this weekend!! Super receta me encanta luce muy rica gran trabajo,saludos y abrazos. Hmmm. This looks so good. I’m going to bookmark this recipe. Thanks for posting at From the Farm Blog Hop. That’s where I found this post. Superbly delicious. I can imagine the flavors rolling on my tongue! These sound addictive and almost like comfort food. This looks so amazing! And it sparked a discussion with my man in which I realized he’d never heard of baklava. Eek! Se ve muy exquisio y fino gran trabajo ….Bravoooo…me encanta,saludos y abrazos. behold the wonder of phyllo dough! this is a super fantastic treat, katarina! I’ve never seen this kind of dessert before! Sounds quite delicious. These look delicious and the perfect treat for the warm weather. I will definitely try these because they look like a delicious and less intimidating cousin to a cream puff. These Panorama Triangles look wonderful and delicious. I don’t think I’ve ever try them before but looking at the ingredient list, I know I’ll love them…and they really sound addictive too. I just want to devour a huge pile of these – they look soooooo delicious with all that cream! Le genre de pâtisserie devant laquelle je ne peux jamais résister. Je te pique un morceau avant de les tester moi-même. I must admit, I’m a bit surprised the syrup is not made with honey as my daughter also brought me back honey from Greece which was out of this world! I can see why every pastry shop must carry these delicacies! I can only imagine how wonderful they taste! Beautifully done! OMG I would devour a plate in a second, they look awesome. And love the changes. The pics here are gorgeous! These look heavenly! Thank you for sharing at Simple Supper Tuesday. αν και τα λατρευω,δεν εχω μπει ποτέ στον πειρασμό να τα κανω….μπελαλίδικο και απαιτει και μια ικανότητα!κριμα κριμα,που δεν σε εχω δίπλα μου!!! wow…I love dishes from all over the world and really in love with the name of this one, I think they would be delicious and such a great addition the the culinary repertoire and any food lover! I just happen to have a box of frozen phyllo sheets in my freezer, and these look elegant and delicious. Thanks! Looking at your beautiful pictures, I can taste that sweet cream and hear the crunch of the phyllo! Just place a tray in front of me and it will disappear very quickly. Absolutely delicious! These look so scrumptious and sweet and delicious! A great gift for visiting friends and served at home too! I would love to visit Greece again some day, it is a beautiful country. These look great Katerina, I love the combination of the crispy phyllo with the creamy cream…what a delightful treat. Ωωω! Πολύ μου αρέσουν τα αρωματισμένα με πορτοκάλι τριγωνάκια σου από τα οποία ξεχειλίζει η κρέμα! Είναι πραγματικά υπέροχο γλυκάκι! Τραγανό φύλλο, σωστά σιροπιασμένο και με μια πλούσια κρέμα να συμπληρώνει το σύνολο! Another Greek dish with a story behind! It looks luscious and so exotic! (The syrup stage makes me think of oriental desserts but the filling sounds very familiar and delicious). Your dexterity is impressive, as always! I love the mini-history/geography lessons! Εχω ενθουσιαστεί σου λέω, καταπληκτικό post και αυτές οι φωτογραφίες της διαδικασίας πραγματικά επαγγελματικότατες! Πεθαίνω για τρίγωνα πανοράματος, θα την δοκιμάσω σίγουρα την συνταγή σου Κατερίνα μου. Very interesting & unique recipe, looks divine. Impressive work, Katerina! Your new blog format looks great! So professional. And I love it when you write about your beautiful country, Katerina. It makes me long to visit it. Your Panorama Triangles are a real tribute to the baker who originally created them. Αυτά που έχω δοκιμάσει σε Αθήνα δεν με ενθουσίασαν ποτέ. Θα επιχειρίσω να τα φτιάξω κάποια φορά. I always remember from my childhood this big Thesssaloniki market hall with so much food!